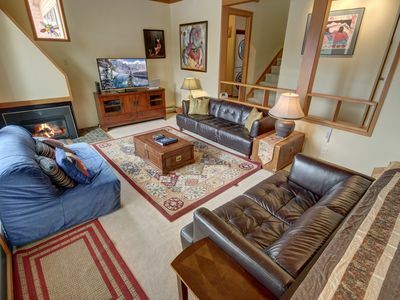 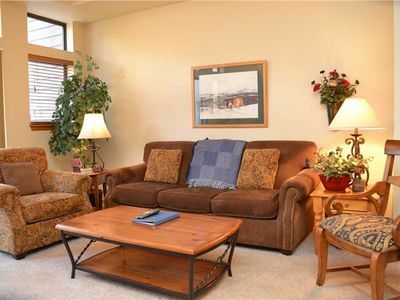 Cozy, modern condo near skiing w/ enclosed, private balcony & shared hot tub! 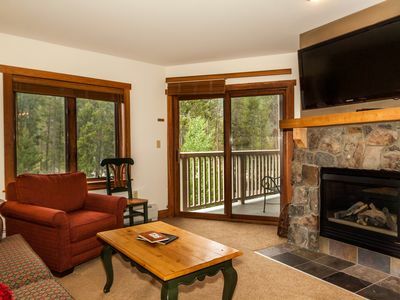 Right at the base of the Copper Mountain Resort with a community hot tub and sauna, this beautiful vacation rental is a great condo for family and friends looking to play in the mountains. 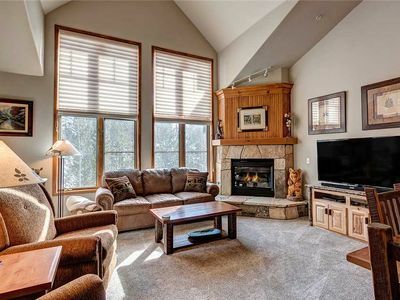 Located in the Central Village, and within walking distance of the American Eagle Lift, this condo is an ideal location for groups looking to enjoy skiing and riding at the US Ski Team's training ground. 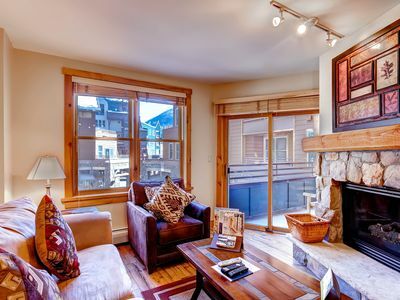 This two-bedroom, three-bathroom home is a colorful, rustic condo with standard amenities like WiFi, cable, and a DVD player. 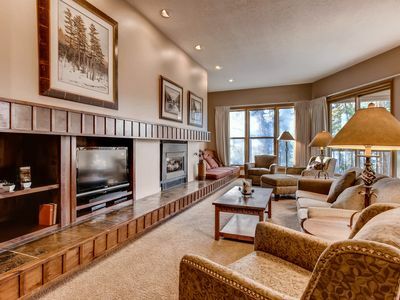 Warm up your feet by the fireplace or head out to the enclosed balcony for a snack and a drink. 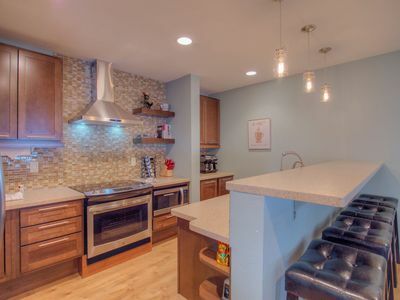 Cook a homemade meal in the galley kitchen with stainless steel appliances, granite counters, and plenty of fancy appliances including a slow cooker, a dishwasher, and a blender. 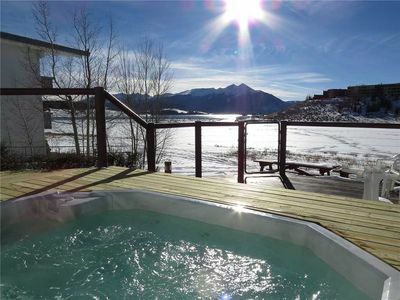 After dinner, head down to the community hot tub for a soak to soothe your sore muscles. 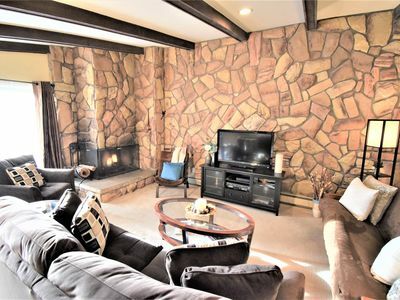 Eight guests will sleep easily in this cozy home. 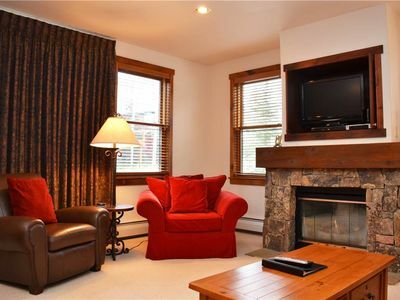 The master suite has a king bed and a spacious en suite bathroom. 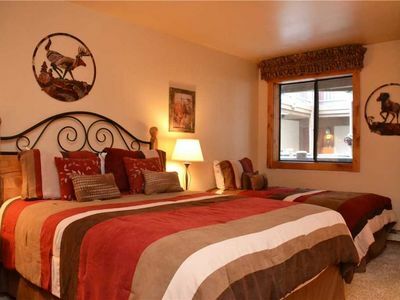 The second bedroom has two queen beds with a private bathroom as well. 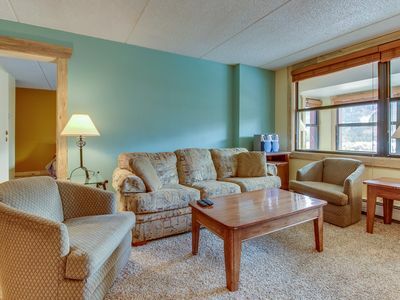 One of the sofas folds out into a bed for additional accommodations. 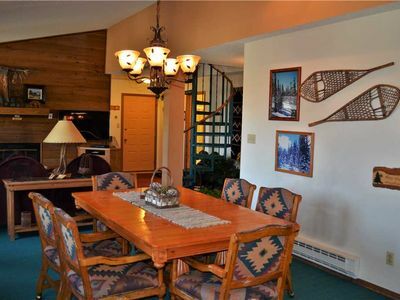 Shopping and dining in Central Village are a must, as are paddle boat rentals in West Lake and ice skating. 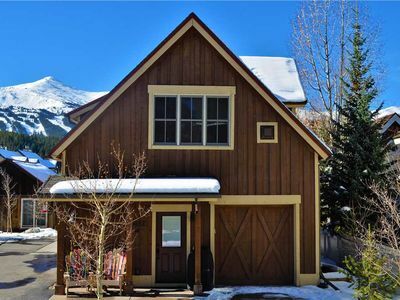 Grab a sweet treat at the Rocky Mountain Chocolate Factory before hitting the slopes, or visit the Copper Athletic Club (fees apply). 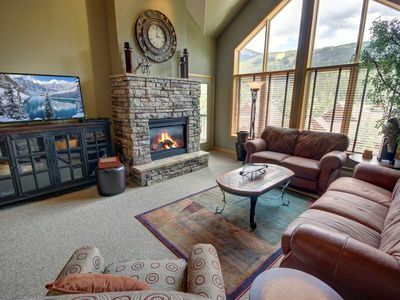 Book this Summit County vacation rental for a mountain getaway. 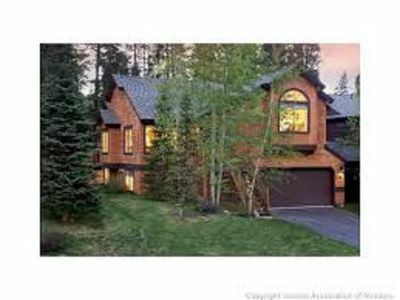 Parking Notes: There is a parking for 1 vehicle in the garage 2nd Vehicle can be parked in the B-Lot using the B-Lot parking pass and the key that is attached. 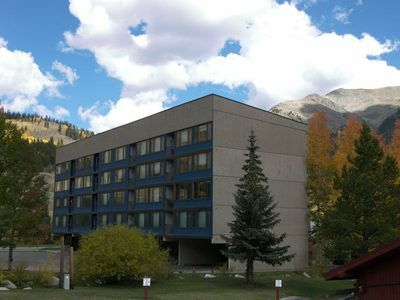 Additional vehicles must be parked at the North Alpine Lot(no pass is required). 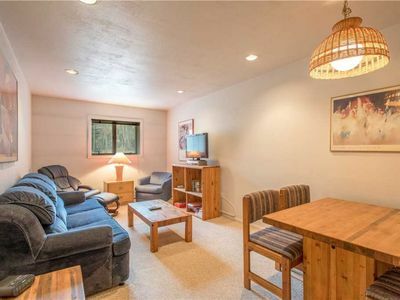 Steps away from lift, Ski-in/ski-out, Beautifully decorated, Heated garage parking, Hot tub access! 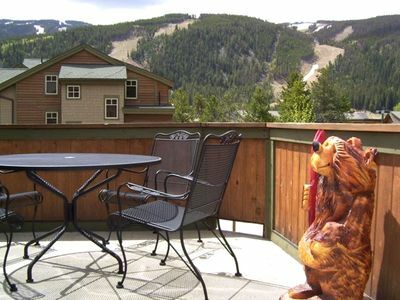 Huge 3Br Condo Quicksilver 1662~Kids Ski Free! 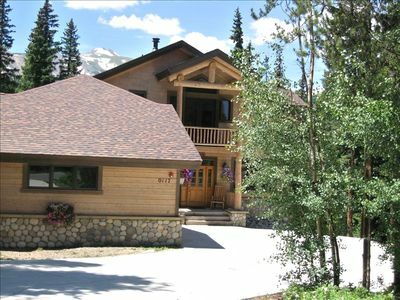 Private Home on Main Street by the Gondola! 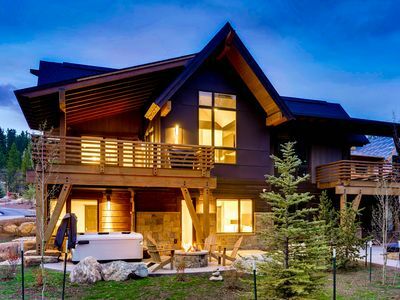 Listen to the Blue River run by as you relax and unwind in this new home!